YSKP is beginning a Hip Hop class for adults with Cameron Stuart, and babysitting service, meeting Wednesdays from 6-7:00pm at The Playhouse, 910 Corry St.. Class begins October 10th and runs for 6 weeks. Preregistration required by 10/8. Call 767-7800 or admin@yskp.org. The cost is $70 (plus $18 if you need the babysitting service). Cameron Stuart, who recently opened for at the Grammy Awards, is a dancer from Huber Heights, Ohio. His style of teaching allows his students to not only learn routines but also learn how to freestyle and improvise with their technique in various styles of dance. His routines consist mainly of popping, and breakdancing, but also incorporate other styles, such as fishing, tutting, and krumping. His students in the past have been very responsive to his unique teaching style and have become much more confident dancers. 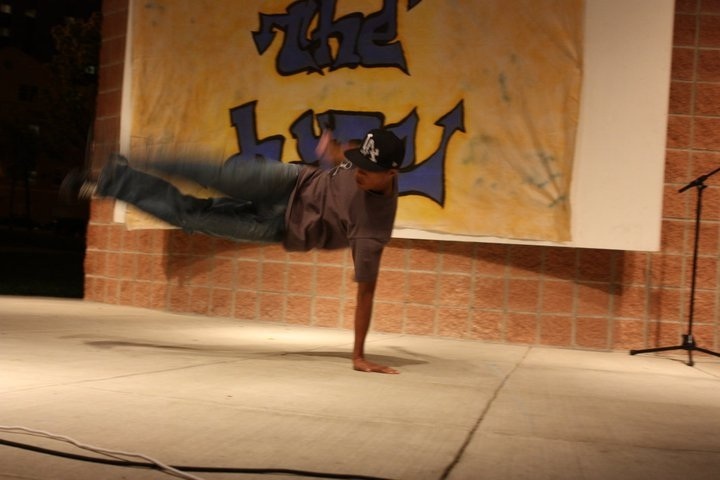 Cameron has been dancing with TWS Krew, a dance crew founded in Huber Heights, for a little over two years. He choreographs many of the routines that TWS performs at various events. He has performed at places ranging from a nursing home block party to “Midwest’s Best Dance Crew.” One of Cameron’s favorite aspects of dancing is dance battles. Cameron has gone to many battles in the United States as well as one in Canada to showcase his talents and learn from other dancers. Recently, he won a krumping battle in Cincinnati. Cameron’s favorite style, as well as his biggest strength, is krumping. He truly has a passion for dancing and loves to share it with people of all ages through teaching. Schools Super to speak at Senior Potluck, Thurs. Want to know more about the school levy? Art Stroll - Oct. 19, 6-9 p.m.